Today we planned on leaving Nottingham so that we could moor at some of our favourite spots on the way to Newark and have a couple of days there before heading to Cromwell and out onto the Tidal Trent. But things are conspiring against us. After breakfast Mick took some recycling to the bins in Sainsburys, then went to the marina to see if our life jackets were back. No, was the short answer. The chap rang the company to see when they might get back to us, they currently have a three week backlog! Nobody had told us about that!! We’d have been better off waiting for the chap at Sawley to come back off holiday, or just doing it ourselves! Could they send them back un-serviced for us to pick up tomorrow? This didn’t seem to be an option. On his way back to the boat Mick got a call from the servicing place. They would see if they could put our jackets to the top of the pile, but they wouldn’t be back with us tomorrow no matter what they did. Could they be sent to anywhere in Newark instead. This was a possibility and he’d see if he could get them there for Thursday! This of course leaves us without life jackets to get to Newark. Neither of us have fallen in (yet! ), but we’d rather not risk it on a big river. So could we buy some to get us to Newark then put them on ebay? Easier said than done. The jackets at the marina here were £80. Nowhere else in Nottingham sells them. The water centre at Holme Lock sell floatation jackets, bulky. The internet was going to take until next week to deliver. Just what to do? A trip to a chandlers was needed, Sawley or Beeston? Over the last several days I’ve had a bit of a wobbly head. Light headed, not so that I feel I’m going to fall over, but quite unnerving. Each day it improved into the afternoon and yesterday I hardly noticed it at all. But today it had returned worse than before, my legs felt a little like they were someone else’s. So it was time to mention it and get checked over. Nottingham has an Urgent Care Centre (it used to be a Walk In Centre) at the 90 degree bend before you get to Meadow Lane Lock, I’ve been before the day after I lost my little finger. So we walked up the canal and waited with quite a few others. 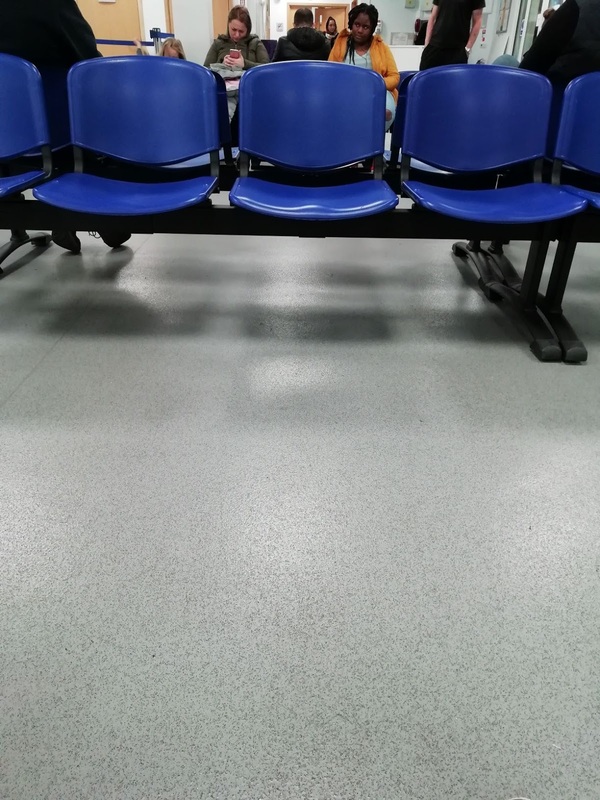 The wait was under two hours to see a practitioner nurse. I had my blood pressure and temperature taken, then we waited, my head first getting a lot worse, then of course getting better whilst we waited. The very nice nurse checked my pulse, ears, throat, eyes and glands. These were slightly swollen, so it might be a virus. She can’t take blood or do further tests, only my GP can do that. 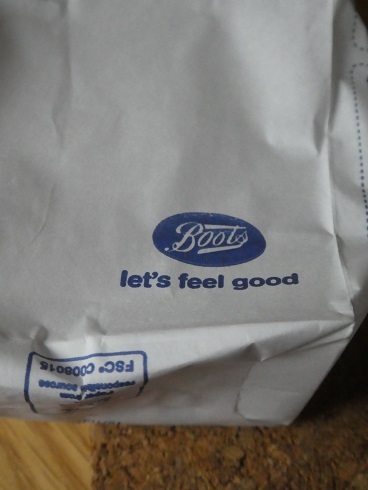 So she gave me a prescription for anti-wobbly head drugs. I’ve had these before when I had vertigo a few years ago, they are also prescribed for schizophrenia!! These should alleviate my wobbly head whilst the virus mends itself. Fingers crossed it works. Mick meanwhile had checked stock of life jackets at both Sawley and Beeston, the chap at Beeston didn’t fill Mick with confidence on their stock levels, he thought they might have some auto-inflate ones! On our way back to the boat we called in at Sainsburys for some tea and to get my wobbly head drugs. Advance warning, the Lloyds Pharmacy here is closing in three weeks, so they have sent all their stock back and had very few drugs. Mick my hero, walked over the canal and up to the nearest Boots, well if in Nottingham how could we go elsewhere! As you’ll have noticed photos on the blog have been disappearing without any rhyme or reason that we’ve found as yet. I keep trying different things, the photos are there one minute then gone the next. Thank you all for your patience and comments. I like my posts to be full of photos, so if a solution can’t be found then I’m going to have to go back to just using blogger which is not user friendly with its layout. 0 locks, 0 miles, 0 life jackets, 3 WEEKS! 0 jackets in Nottingham, 2 legs not connected, 1 wobbly head, 1 long walk for urgent care, 1hr 30 minutes wait, 21 pills, 3 times a day, 2 personalities? 1 day behind schedule so far, 0 photos, 0 wine for me for a week! This entry was posted in Uncategorized on 27th Jan 2019 by pipandmick. Conversely we are having problems with the Blogger app not posting photos!